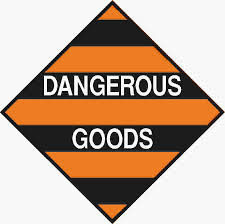 Banking on the understanding our personnel have received in the years, we are engrossed in the business of offering Dangerous Goods Shipment Services UN Certified to our clients. Credited due to their reasonable rates, these services are widely appreciated amongst our clients. More to this, our adroit workers are rendering these services in the most planned manner. We ensure safe handling of dangerous goods by providing technical knowledge, optimum storage conditions and other handling services. We offer our guidance on implementing standards of documentation and procedures. Our team is well aware of rules and regulations on carrying dangerous goods, which help us and the customers reduce the risk involved in carrying such goods. In accordance with the erstwhile rule 3 of the Aircraft (Carriage of Dangerous Goods) Rules, 2003, the dangerous goods could be carried by air to/from/within/over India subject to and in accordance with the permission in writing of the Central Government. Maxim Express was formed with the aim of providing specialised shipping services exclusively to businesses and organisations that are tasked regularly with complying to the strictly imposed regulations that govern the transport of dangerous good. Trade Link is specialized in handling all type of chemical shipment, we are providing service for All type of Hazardous & Non Hazardous chemicals worldwide. We have transport goods from india to nepal in good rates and service.